On one hand, Thailand is the epitome of paradise – boasting white-sand beaches, a vibrant capital city and a unique culture. A popular tourist destination for years, the country is in the process of successfully transforming itself from a backpackers dream to a luxury holiday location. Five-star hotels, golf resorts and gated communities are popping up all over the country, providing a stylish alternative to the budget travelling scene. As a result, the property market has sprung up out of nowhere, with a range of houses and apartments now captivating the attention of overseas buyers. Great weather, good food and affordable prices are attracted second-home buyers, retirees and émigrés, while a good exchange rate and promising capital growth brought in the investors. A low cost of living adds to the package, and a wide choice of direct flights seems to make up for the distance. All in all, Thailand is a country that seemed to tick all of the right boxes – no matter what your reason for buying. However, recently reality has struck what was once one of the overseas property hotspots attracting buyers from across the globe. Difficult global economic conditions have hit Thailand hard, and capital growth has stalled. Added to this has been a period of internal political strife which has prompted the UK Foreign Office to advise travellers to exercise caution at all times in Thailand, and avoid the southern provinces of the country for all but essential travel. As property investors begin to look elsewhere for higher returns, there remains a loyal following of people who love the country and still see their future as regular visitors or settlers there. With this core of support for the tourist and property market in Thailand, hopes remain high of a recovery of fortunes when there is a more stable political situation in the country. Foreigners looking to get a foot on the Thai property ladder tend to look in either the bustling city of Bangkok or the southern beach resorts. Despite Bangkok’s somewhat seedy reputation, the capital has plenty to offer the business traveller, resulting in a range of possible short-term letting opportunities. The country’s second city of Chaing Mai, known as the “gateway to China”, is also tipped to become more popular thanks to the construction of a new highway that will connect the city to Kunming, the capital of southwest China’s Yunnan Province. The islands are more geared up towards the holiday-maker, and have been developed accordingly. These resorts are trying to attract a more up-market clientele, and property prices are duly reflected. 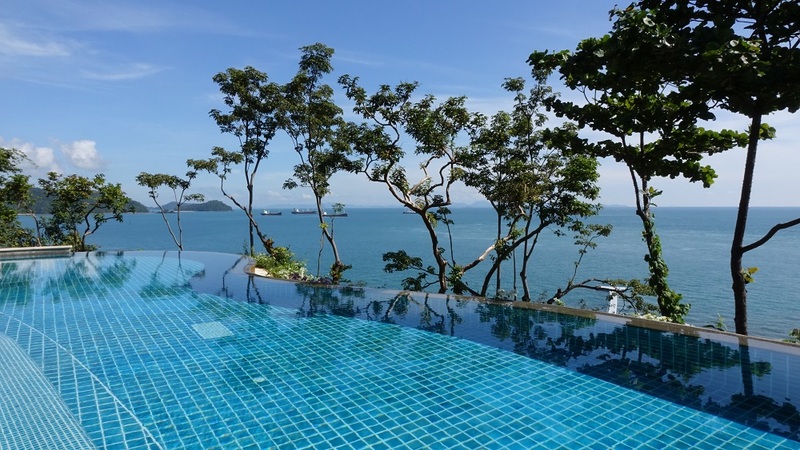 Therefore, if you are on a budget, try to avoid the ever-popular areas such as Phuket and Pattaya. Thanks to The Beach, the island of Koh Samui is still popular, and the property market there is almost on a par with the original hotspot of Phuket. When buying a property in Thailand, it is unusual for an offer to be made until your solicitor has carried out all of the relevant searches. If you do put in an offer before you have commissioned any legal help, do not hand over a deposit or sign anything – only do this when your lawyer gives you the go-ahead. When you are given the legal green light, ensure that the name in which you purchase the property is exactly the same as that on your passport in order to avoid any unnecessary confusion. Generally you will be required to pay a ten per cent deposit until the purchase agreement is executed, but this is refundable if the purchase doesn’t go through – provided that it is not your fault. A final contract is signed on the date stated in the preliminary contract, when you will be required to pay the outstanding balance, as well as any relevant taxes. The deeds are then registered with the Land Department, making the purchase complete. In regard to freehold title, foreigners can own buildings in Thailand – but not land. As a result, apartments are the more common choice for people buying in the country. If, however, you have your heart set on a villa, there are a couple of ways which you can gain the freehold of the land. The first way is to set up a Thai limited company. If you decide to go down this route, be aware that you are still only able to hold 39 per cent of the shares – the rest must be owned by Thai nationals who sign over all of their rights in the company to you. It costs around 30,000 baht (around £570) for the initial set up of the company, and you will have to pay 20,000 (around £380) a year in associated costs. The second option is to lease the land that you have bought. This lease lasts for a maximum of 30 years, but you do have the right to automatically renew twice – so in essence it is a 90-year lease. The last option is rather more unusual – if a foreign man marries a Thai woman (unfortunately this simply isn’t relevant if the sexes are the other way around) then he is entitled to own freehold land. Perhaps a rather extreme route to follow, but one that is there nonetheless.